When two celebrities meet, the combined magnetism can be overwhelming. 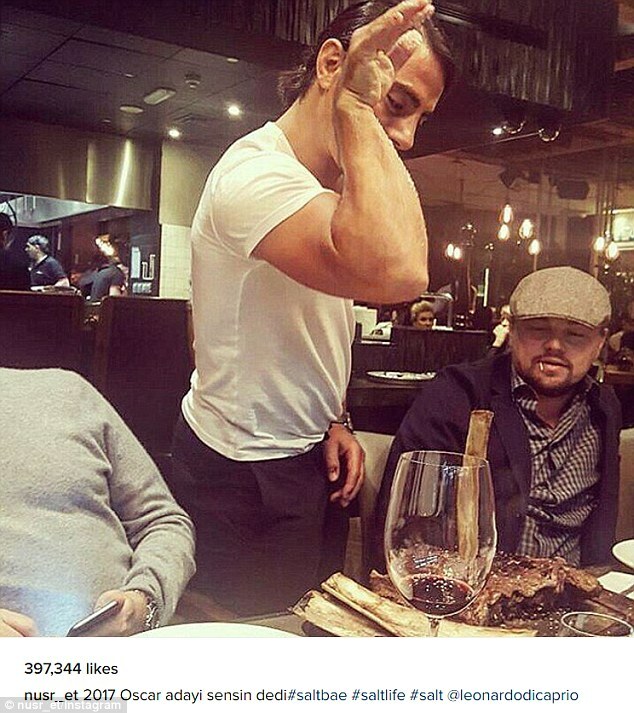 "The meme and the movie star: Social media sensation Nusret 'Salt Bae' Gökçe played host to Leonardo DiCaprio at the Dubai branch of his steakhouse chain Nus-ret, doing his trademark flourish as he seasoned the actor's meal"
Such was the case Thursday when it emerged that meme sensation 'Salt Bae,' a Turkish chef whose real name is Nusret Gökçe, met Leonardo DiCaprio. The Titanic star was at a table at the Dubai branch of Gökçe's steakhouse chain Nus-ret when Salt Bae did his trademark move, seasoning the actor's meal himself.